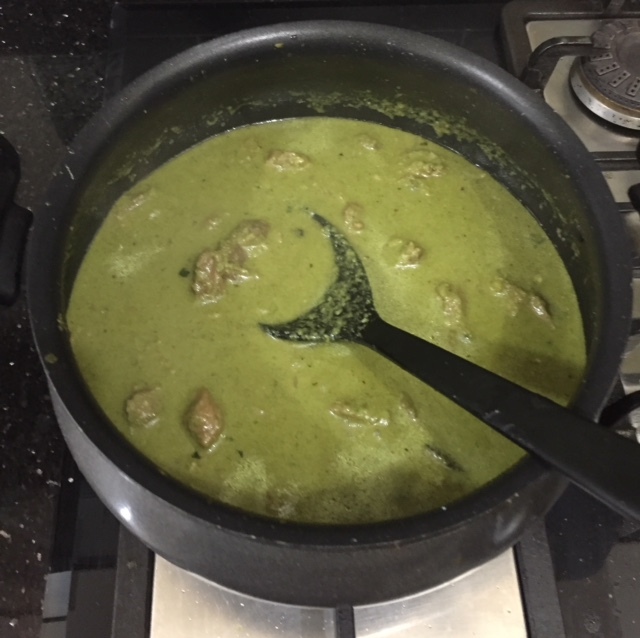 This delicious curry is from the Nilgiri Hills (Ooty) in South India. It is flavoured with mint and coriander leaves. 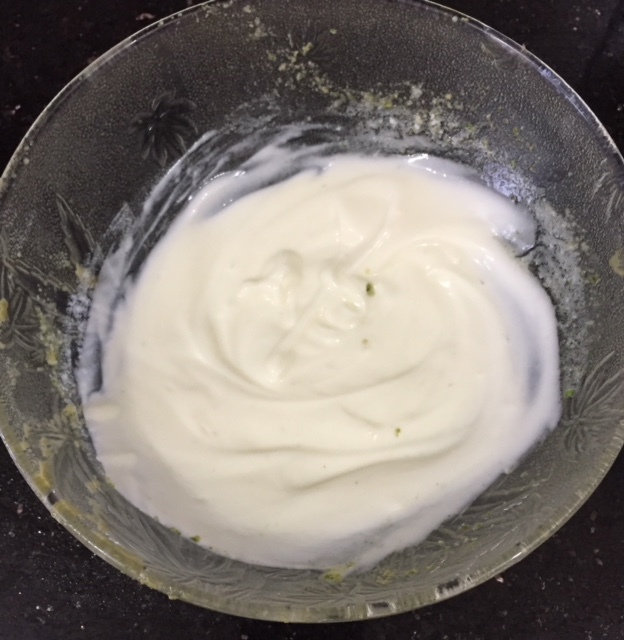 Yogurt is added for tanginess. 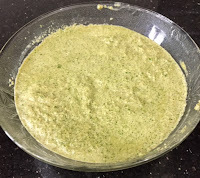 You can relish it with plain rice, dosas and appams. Add the mutton pieces, 2 cups water and salt. Close the lid and cook for 7-8 whistles. 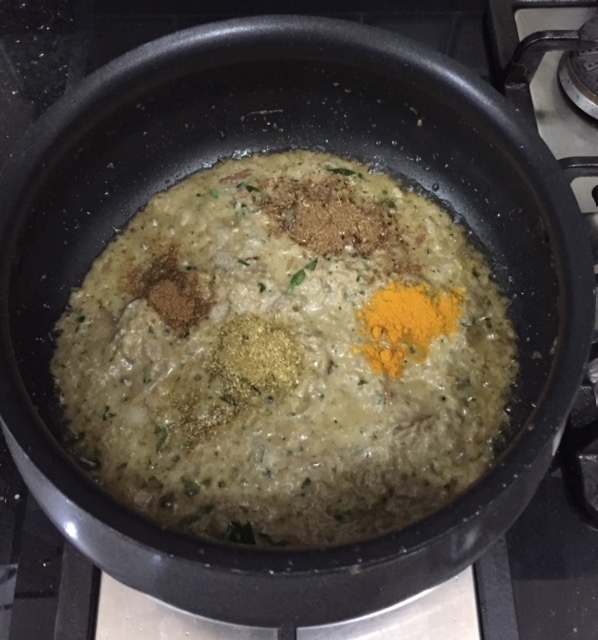 When done, separate the mutton pieces after discarding the whole spices. Save the stock for the gravy. Grind together coriander leaves, mint leaves, coconut and green chillies. 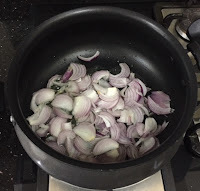 In a pan add 3 tbsps of the oil and fry the onions until translucent. 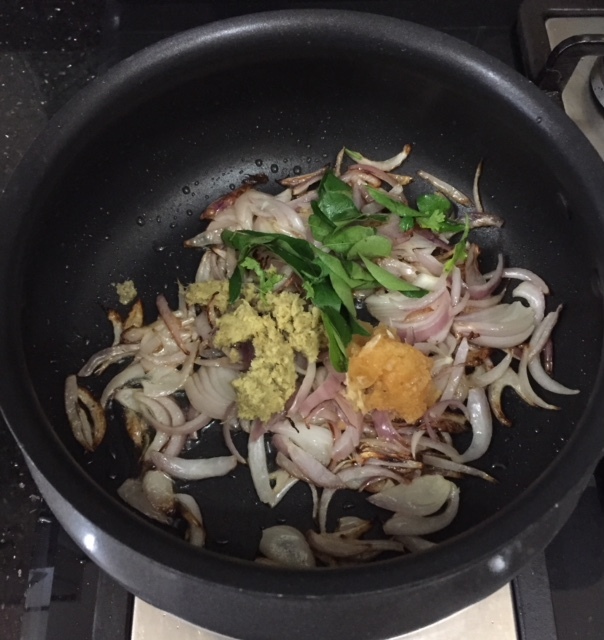 Tip in the ginger garlic paste and some curry leaves.. Add a little water and simmer for few minutes.When cooled, grind the onion coarsely. 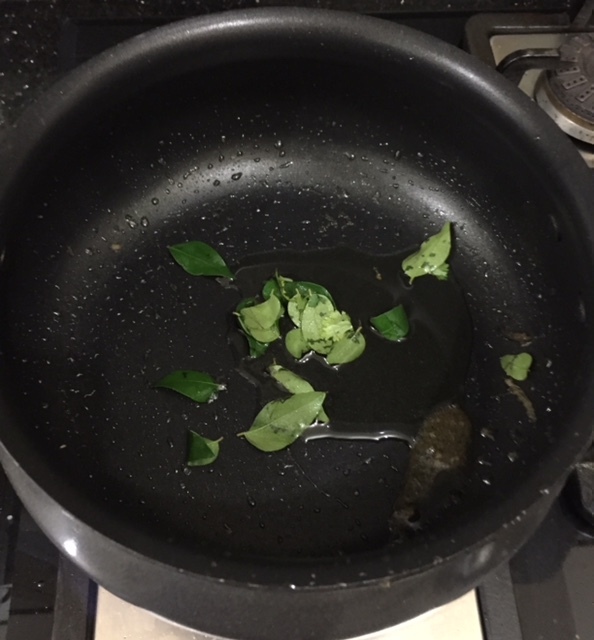 Add the remaining 3 tbsps of oil in the pan and add curry leaves. 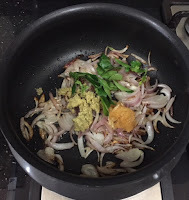 Now add the onion paste and saute for couple of minutes. Add the mentioned spice powders. 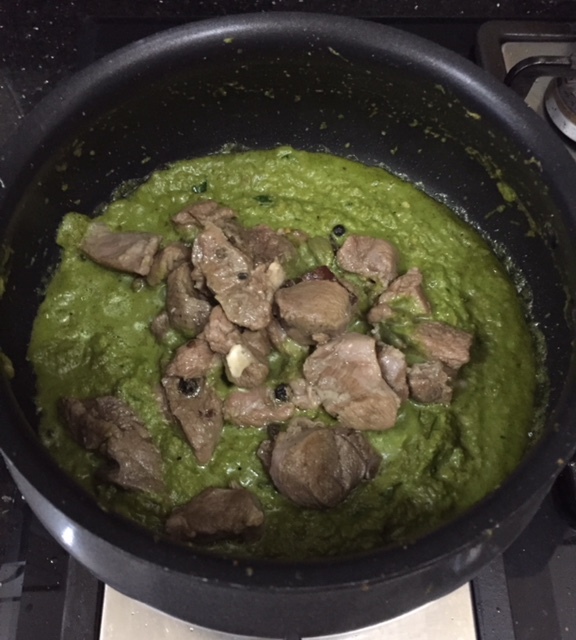 Stir in the green masala paste. Tip in the cooked mutton pieces. 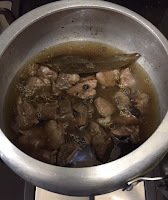 Add the stock and little water if required. 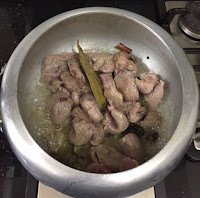 Add it to the mutton curry. Check the salt and add if needed. Simmer for few minutes until done. Garnish with coriander leaves. Recipe Credits - Chef Sanjeev Kapoor. 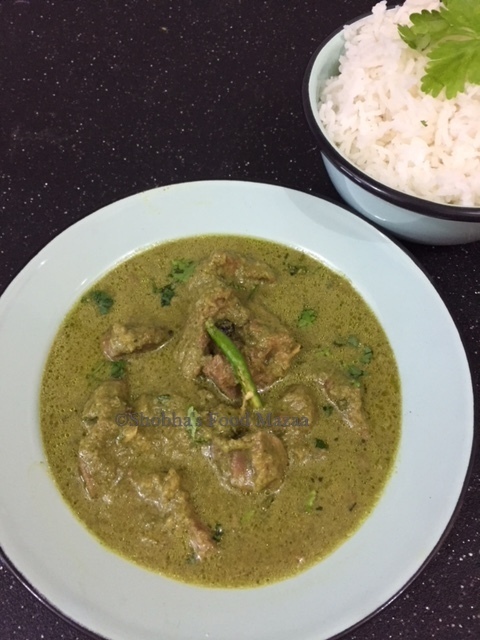 This is just what I want , just bought some mutton yesterday and was looking for a lovely recipe to enjoy it in the weekend and yours recipe is perfect, thanks for sharing. Thanks Soma.. make and enjoy in your week end. 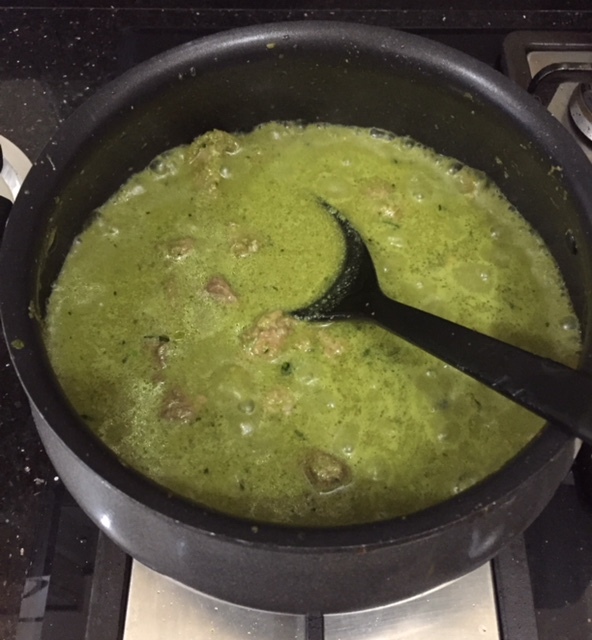 How flavourful and aromatic this mutton curry will be na, love this curry with parottas.. Yumm, my mouth is just watering here. Yes Priya.. it is very tasty. Thanks for liking. The gravy sounds so flavorful. I would love to replace the mutton with some vadiya. Vadiyas will taste too good Mayuri.. I will also try them. Looks awesome! 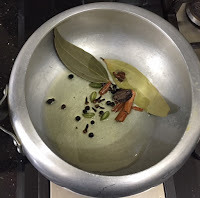 Quite like the hara masala curry we make here, except for the addition of coconut. Will try with coconut next time. Yes Maria.. we Sindhis also make hara masala curries. both veg and non veg but without coconut. 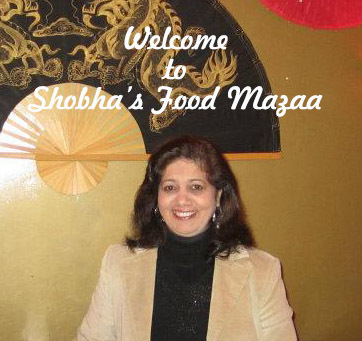 Looks inviting shobha ji. Would like to try the gravy using tofu or panner in it for vegeterian version.Yours look yummy. 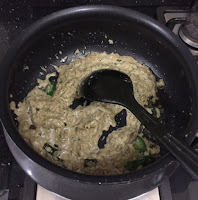 Thanks Paarul.. do try with any veg substitute. It tastes really good. Yes Ritu.. it was really tasty. The curry looks flavourful, i would like to add in paneer instead. 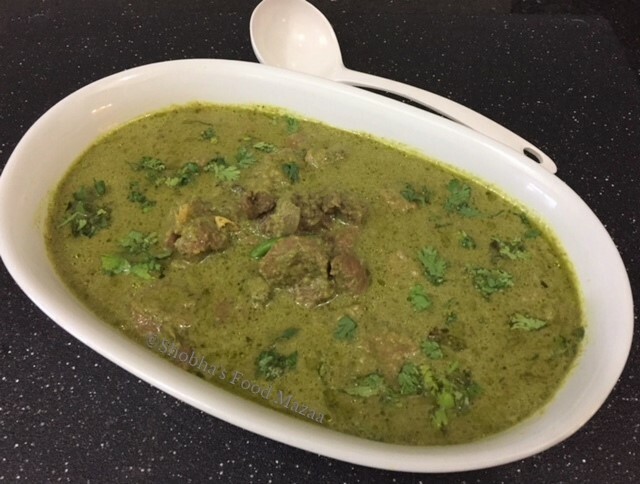 The mutton curry sounds flavorful and looks very inviting di ! Yes, you can make this with chicken too. Looking delicious, I love the gravy you made for this. 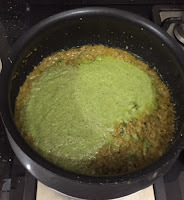 Would like to try this gravy with paneer. 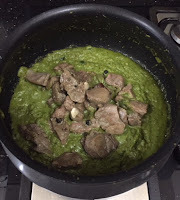 have seen non vegetarain makes delicious gravies. 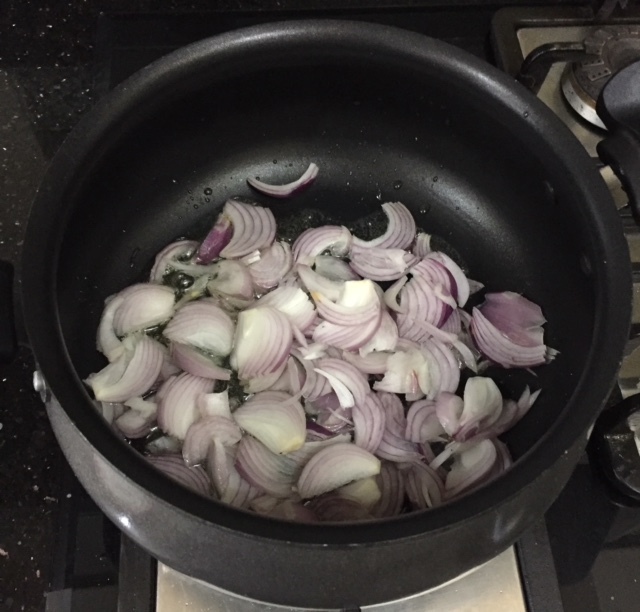 For a sec I thought you made curry with Nilgiri oil ! Such a different type of gravy! The green masala curry base sounds very refreshing and tasty to make any curry.